It's official! 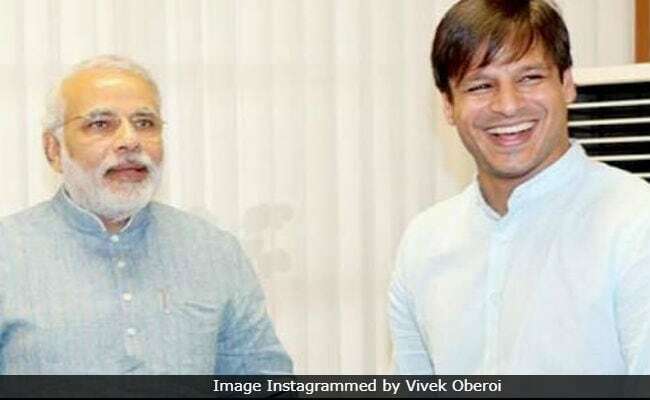 Bollywood actor Vivek Oberoi has been zeroed in to portray the role of Prime Minister Narendra Modi in a biopic titled PM Narendra Modi, which will be directed by Mary Kom director Omung Kumar, reports Bollywood trade analyst Taran Adarsh. Minutes after Taran Adarsh shared the news on social media, Vivek Oberoi occupied a spot on Twitter's trend list. The film will be produced by Sandip Singh. "It's official... Vivek Oberoi to star in Narendra Modi biopic titled PM Narendra Modi... Directed by Omung Kumar... Produced by Sandip Singh... First look poster will be launched on 7 Jan 2019... Filming starts mid-Jan 2019," tweeted Taran Adarsh. IT'S OFFICIAL... Vivekanand Oberoi [Vivek Oberoi] to star in Narendra Modi biopic, titled #PMNarendraModi... Directed by Omung Kumar... Produced by Sandip Ssingh... First look poster will be launched on 7 Jan 2019... Filming starts mid-Jan 2019. The first poster of PM Narendra Modi will be unveiled by Maharashtra Chief Minister Devendra Fadnavis on January 7 in Mumbai. The film is expected to go on floors in mid-January this year and it will release in 23 languages across India. Details about the other actors in the film have not been revealed as of now. This won't be the first time that Omung Kumar will be directing a biopic. He has earlier directed films like Mary Kom and Sarbjit. Omung Kumar's last directorial project was the 2017 film Bhoomi, starring Sanjay Dutt. Vivek Oberoi, who will be seen playing the lead role in the film, was last seen in the Tamil film Vivegam, co-starring Ajith Kumar. Vivek Oberoi made his Bollywood debut with Ram Gopal Varma's 2002 film Company, for which he even received two Filmfare Awards. Vivek Oberoi is best-known for his performances in films such as Saathiya, Dum, Omkara, Shootout at Lokhandwala and Krrish 3 among others.